Computers are the cornerstone of most businesses, so it is important to keep your electronics charged but also secure. Our laptop storage cabinets are designed to maximise the lifespan of your electronics and to keep your business running. 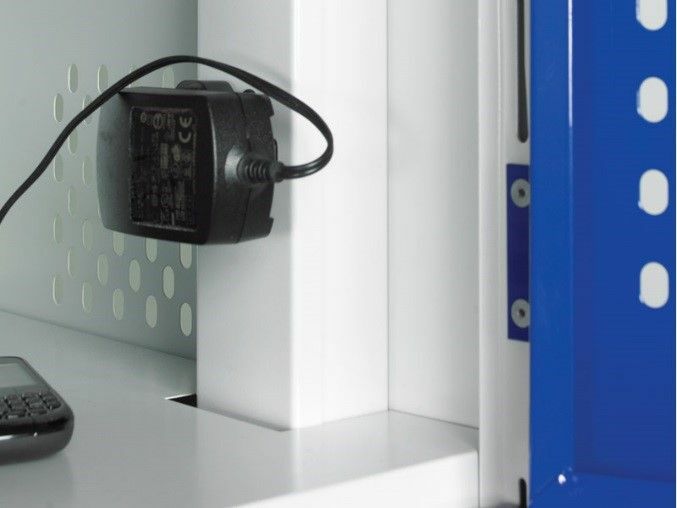 NSI’s range of laptop lockers provide a safe environment for laptops to be stored and charged. Our lockers are available either with one door for the entire locker or with individual doors for each compartment for maximum security. Each compartment comes with a 3-pin socket so any electronic device can be charged, not just laptops. Perforated sides and doors prevent heat from building up inside the lockers, reducing fire risk and protecting the contents of the lockers. Each power lead is fitted with an RCD plug so that your devices are protected from any power surges and short circuits. 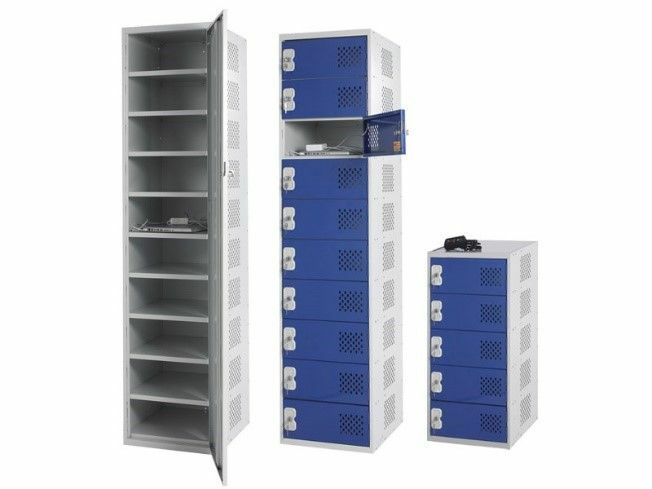 The lockers are rated up to a maximum output of 1amp per compartment up to a total of 10amps per locker. All of our laptop storage cabinets are available in blue, burgundy, dark grey, green, light grey, red and yellow, or bespoke colours of your choice. Depending on your needs you can choose a laptop locker with either five or ten compartments with either a flat or sloping top. Our laptop lockers come with a one year parts warranty so you can have peace of mind that your electronic devices will be safe. All of our products comes with NSI’s first class customer service. If you’re unsure whether your devices will fit our laptop lockers then please get in touch and we can make sure we provide you with the best possible laptop storage cabinet for your needs.